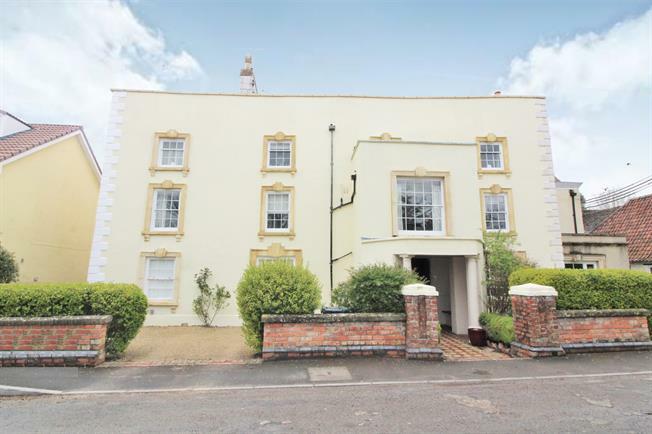 2 Bedroom Flat For Sale in Berkeley for Asking Price £155,000. This wonderful apartment certainly has kerb appeal. Upon approach the impressive looking Georgian building is entered through the communal entrance with stairs rising to the upper floor and allows access to the communal garden. Inside the apartment you will find the inner hall that provides access to the lovely size living room and practical kitchen that boasts elevated views over the garden. There are two double bedrooms as well as a bathroom and separate W.C. The communal gardens at the rear of the building are a delight. Laid to lawn with established trees, shrubs and plants, it is a place to relax and enjoy. The property also benefits from parking for two cars. Entered from the front of the building, stairs rising to upper floors, access to communal garden. Front door from communal hall. Carpeted flooring, dado rail, ceiling light. Single glazed wood sash window facing the front. Electric heater, carpeted flooring, ceiling light. Single glazed wood window facing the rear overlooking the communal garden. Work surface, wall and base units, stainless steel sink and drainer with mixer tap, space for freestanding oven, space for washing machine, space for fridge, space for freezer, built in storage cupboard. Double bedroom; single glazed wood sash window facing the front. Carpeted flooring, built-in storage cupboard, ceiling light. Double bedroom; single glazed wood sash window facing the front. Carpeted flooring, ceiling light. Ceiling light. Panelled bath, electric shower over bath, part tiled walls, wash hand basin. Single glazed wood window with opaque glass facing the rear. Carpeted flooring, ceiling light. Low level WC, wash hand basin. Enclosed space laid to lawn with a wide and varied selection of trees, plants and shrubs.